I watched the original Lost in Space as reruns back in the 1970s but it never rose to must-watch status for me the way the original Star Trek did. The campiness of the third season didn’t appeal to me the way it did for a lot of others. So I wasn’t bothered by the idea of a more serious reboot. I will give my non-spoilery impressions up front before diving into spoiler territory (which I’ll clearly identify). Lost in Space in its various incarnations is at its core about the Robinson family but much of the Netflix reboot revolves around Will Robinson, the Robot, and Doctor Smith (much like the original series ended up doing). Fortunately Maxwell Jenkins, the actor playing Will, is more Haley Joel Osment than Jake Lloyd and is able to carry the load the show lays on his shoulders. I think Parker Posey nails this show’s version of Dr. Smith, giving some much needed depth and nuance to a mostly flat character. It’s not Battlestar Galactica or Game of Thrones dark but they’re not going for camp either. Most characters have something unlikeable about them but only a few are what I would call unlikeable. 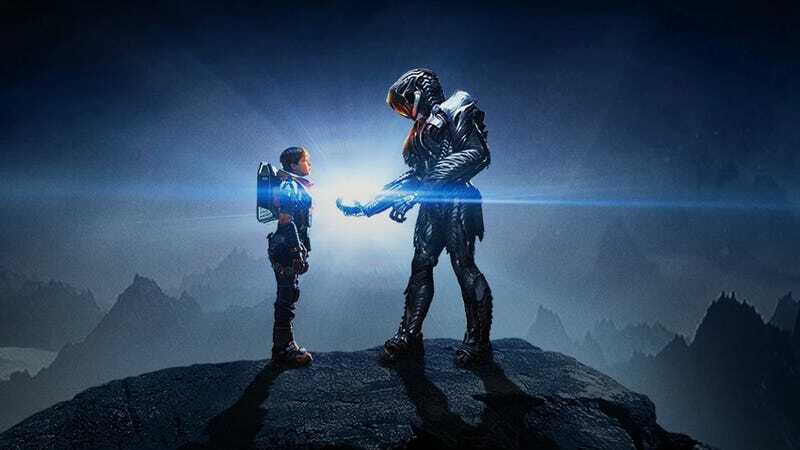 Lost in Space doesn’t have as much bloat as some other Netflix series; I watched the whole season in under 48 hours, something I almost never do with streaming shows. Of course it has plenty of things to nitpick (and plenty of people already have). If you’re looking for something like the campier version of the old show then the Netflix version isn’t for you. But if you want to see a more serious re-imagining of the show’s core idea of a family in space you might want to check out Lost in Space. I liked it overall though and gave it a thumbs-up on Netflix. Spoilers below the opening credit sequence (used in about half the episodes) that also divisive since the classic John Williams version of the original show’s theme doesn’t kick in until near the end. I empathized with Will Robinson. He reminded me of the boy I was at that age who wanted to go to space and still had a sense of wonder. So it helped my interest in Lost in Space that Will Robinson is the pin that much of the season’s plot revolves around. Had he not helped the Robot, Judy would have died trapped in the ice, the rest of the Robinsons would have frozen to death a little later, and the Jupiter 2 would have been lost. And without Will to figure out a fuel solution the rest of the Jupiters would have been stranded on the planet as well. However, like Dr. Smith, Will shouldn’t have been on the Resolute in the first place and he knew that even before his mother confirmed it. I understand that feeling of inadequacy too. I didn’t agree with many of Will Robinson’s decisions but I get why he make them. I was often saying to myself “Damn, she’s good” in the earlier episodes as Dr. Smith was manipulating someone. She may not be an actual psychologist but she knows how to read people. Later in the season after people have caught on to her Dr. Smith’s magic doesn’t work as well, except on Will. If she wasn’t so completely self-centered and willing to let people die if it helps her, Dr. Smith’s statement about being the hero would be more than just a rationalization. But as has been often observed, people generally don’t think they’re the villain of their own story. To be fair she does break good a few times and she just knocked out her sister (nice casting choice BTW) instead of killing her. But I doubt anyone besides Dr. Smith thinks she is the hero of the story. As I mentioned earlier, a lot of the characters have unlikeable traits. Maureen Robinson has a sharp edge when someone (particularly a family member) contradicts her. But it’s understandable given that she’s had to raise three kids as a single parent for all practical purposes while working full time as an engineer. Don West’s charming rogue thing didn’t really work for me though. He was my second least likeable character in the show (Dr. Smith being number one). On the other side, I don’t have a sister but I wouldn’t mind having one like Penny. So the first season of Lost in Space was pretty much to set up the Robinsons (along with Don West and Dr. Smith) to be actually lost in space. One thing I was wondering throughout the season was how they would end up on their own. I didn’t think it was the kind of show that would kill off all the other families though in the final episode I was half expecting the aliens who sent the Robot to destroy the Resolute. But I’m okay with the way things worked out.